One of Hong Kong’s most beautiful walks is along the Tsim Sha Tsui Promenade, which winds its way along the waterfront in Kowloon. Offering spectacular views of Victoria Harbour, strolling along the promenade is no doubt one of the best free things to do in Hong Kong. 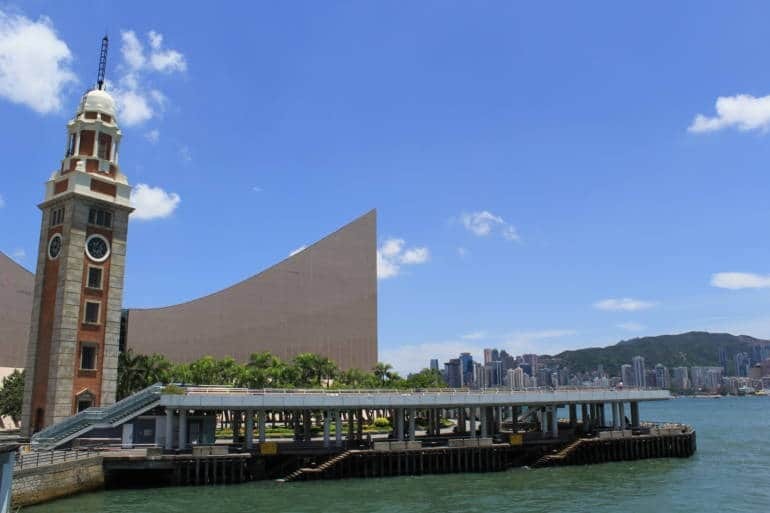 Your starting point is the Star Ferry Terminal, where the historic Star Ferry putters to and fro across the harbour, linking Tsim Sha Tsui with Central. The harbour is always busy with ships, ranging from humble wooden sampans and junk boats to massive cruise liners and luxury yachts, which will make you wonder how the Star Ferry manages to dodge them all. 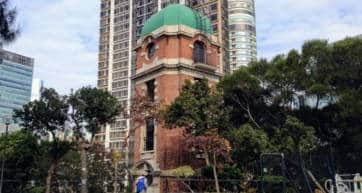 Next to the Star Ferry Terminal is the Clock Tower, which dates back to 1915 when it was part of the Kowloon-Canton Railway Terminus. This monument, and popular meeting spot, has a pond and a garden, and stands in front of the iconic Hong Kong Cultural Centre. The steps which are right next to the Clock Tower lead up to the entrance to the Promenade. The area closest to the Star Ferry tends to be the most crowded, because it offers the best views of Victoria Harbour, facing the skyscrapers of Central. There are seats available all along the promenade, so if you need a need to rest your legs after a long day of sightseeing, grab a cold drink and a snack from the 7-11 convenience store in the Star Ferry Terminal, and relax while enjoying the million dollar view. 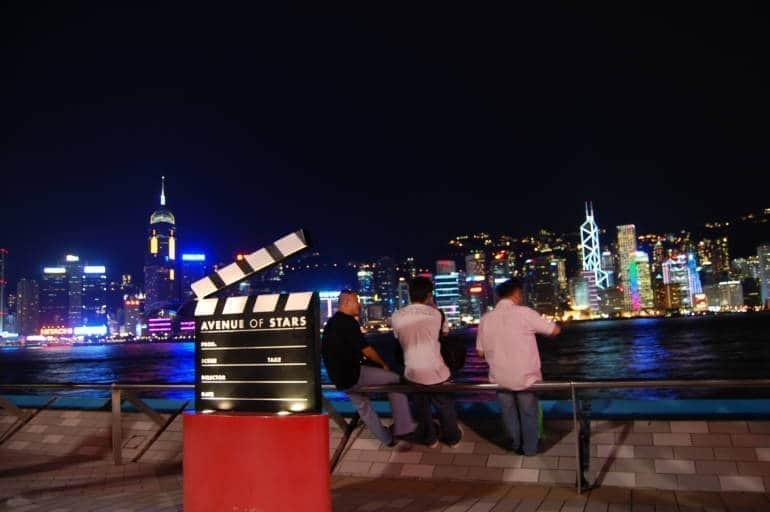 Walk a bit further and you’ll reach the Avenue of Stars, a boardwalk which honors the actors, filmmakers, producers and directors of Hong Kong’s movie industry. Similar to the Hollywood Walk of Fame, there are star plaques with handprints, as well as bronze statues of celebrities such as Bruce Lee. 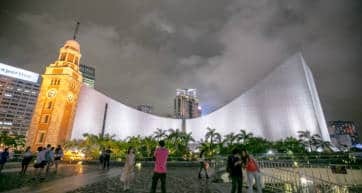 The promenade is a prime spot to watch the Symphony of Lights, a nightly light and laser show which showcases Hong Kong’s landmark buildings on both sides of the harbour, though without a doubt the skyline of Hong Kong Island is the better view. The show takes place every night at 8pm, and lasts just shy of 15 minutes, accompanied by commentary and music. 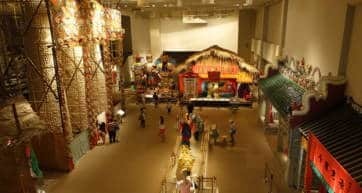 If you ever happen to be in Hong Kong for New Years Eve, or for Chinese New Year, the Tsim Sha Tsui Promenade one of the best places to watch the countdown and the incredible fireworks displays. But be warned, the crowds are unbelievable, so unless you are staying in Tsim Sha Tsui, it’s best to watch the fireworks from wherever is the closest area of the harbour to your hotel. Early in the morning the promenade is a popular place for joggers, tai chi enthusiasts, and grannies stretching, twisting and slapping their legs, so if you need a bit of exercise this is a great place to do it. The views of the harbour are especially lovely at sunrise and sunset, as the sky paints colors across the water.